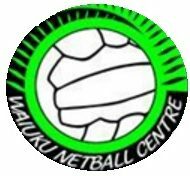 News Across the Centre – Waiuku Netball Centre Inc.
Drive by the Waiuku Netball Centre courts on any given Monday after school and you will hear much laughter and see netballs flying. The Mother Earth Future Ferns programme is in full swing and the young netballers are thriving on learning new skills and the value of teamwork, all infused with fun. Catering for Years 1-4 students, players come from the Waiuku District and as far afield as Awhitu and Patumahoe. Future Ferns has been a fixture at Waiuku for several years now and this year’s intake runs to some 53 girls and boys. Parents and helpers, who have undergone training themselves on coaching tips, work with the children in mini-groups, so the first years do not have to go up against the third years. They will drill them on passing, balance and footwork using hoops and plenty of movement, The afternoon is finished with a mini-game to put their newly found skills into practice. This is not some netball shooting factory. They will learn the basics and learn how to work with others, so vital when they graduate to Saturday play. Some may already be savvy from watching elite televised netball or even just their older siblings at the Waiuku courts on a Saturday. Vicki Linnell, who is Waiuku Future Ferns co-ordinator, along with Sally Roden, says the accent is on enjoyment while learning. “For instance, today was about learning how to hold the ball and getting those W’s (correct finger formation on the ball), so that when they get to Saturday games, coaches don’t have to teach them how to pass and land,” says Vicki. Some of the kids are starting from scratch, but are swift to pick up the game. “A lot of kids have parents who play or played themselves. We’ve got college girls helping out who might have a sibling starting out,” adds Linnell. The sessions are short and sharp, done and dusted in 45 minutes, so as not to stretch young minds’ boredom thresholds. The programme will run for nine weeks, after which there will be a mini-tournament and meal. The hope is that most will stay in netball. “Last year there was a little bit of a drop-off, so our aim is to keep that interest all the way through,” says Linnell. (Noeline Ramsey (Patroness & LM), Bronwyn Sloane, Rachel Browne-Cole, Anne Walters (LM), Sharni Hunter & Mary Hull (LM). There was plenty of emotion and celebration at the Waiuku Netball Centre’s AGM on Monday Night. Anne Walters was accorded life membership, joining just seven other living members of the association with that status, while Bronwyn Sloane, Rachel Browne-Cole and Sharni Hunter were all honoured with service awards. Walters has a lengthy list of achievements and citations for her work with Waiuku netball, starting way back in 1972 as a shooter for Glenbrook Primary School. By the age of just 18, by then a wing attack, she was treasurer, and thereafter served in a variety of roles as a club and rep player, administrator and coach. She helped organise the centre’s 50th and 60th jubilees. These days Walters heads the sponsorship committee, an important role she has filled and enjoyed since 2010. Sloane says her own service award was very much unexpected, but is a reward for more than a decade of hard netball work for the Salients club, Sandspit School, Waiuku College and as a rep selector and Fun Ferns co-ordinator. She started in sport as a hockey player but made the switch when her daughters got into netball. “I’m quite a competitive, sports-minded person, so if you get involved in a sport, you learn about it. I started reading books about netball and finding information off the internet before I started coaching,” says Sloane. She has not stopped coaching, managing or helping since. Now she is into her fifth year as assistant treasurer of the netball centre. Her seven-year involvement as manager of the Waiuku College Gold team is now at an end. She teamed up with Browne-Cole, who was coach during that period. Browne-Cole played herself back in the day, and pitched into help when her daughters entered the sport. She has had extensive involvement with the Loyal and Otaua clubs, and most recently, Waiuku College. She is a long-time talent scout, is Waiuku netball’s senior vice-president and will coach the Under 15s rep team this season. Browne-Cole is also an independent coach development mentor for Netball Northern, so she helps coach the coaches. “I’m very passionate about my netball, so it’s just what you do. Your kids play sport and you get involved,” she says. Hunter was one of the early drivers of the ANZ Future Ferns programme at Waiuku, and has been an administrator since 2007, when she was assistant draw steward. She helps out at Waiuku Primary School as the secretary on their netball committee and has a long involvement with both the Frenz and Otaua clubs. As of the AGM, she is the new president of the Waiuku Netball Centre, resigning from her treasurer’s role, so more public speaking is on the cards. Furthermore, she still wears the WA bib for the Otaua seniors. All these admirable, committed netball ladies will be on hand when the Waiuku netball season kicks off on April 7.